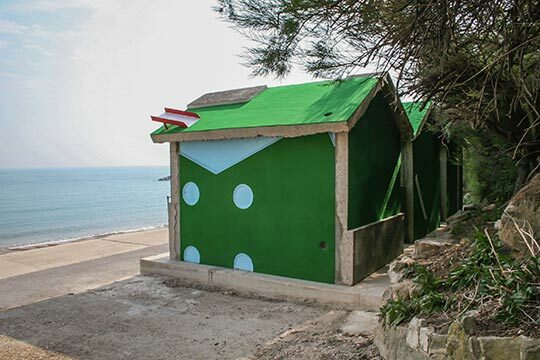 The proposal was for the constructing of X3 “beach” huts along the sea front. 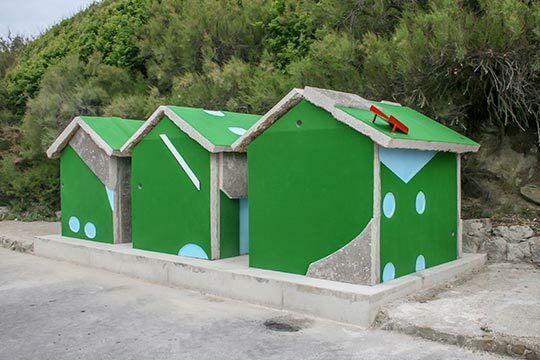 They are however not made of the usual wooden planking but are cut from concrete slabs that make up the now abandoned 18 hole crazy golf course located at the back of the esplanade. 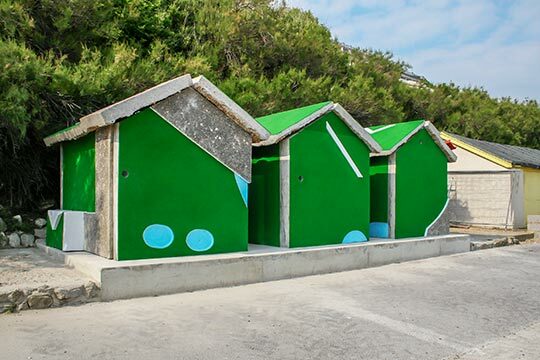 Each hut comprises of 6 measured panels that come together as a series of planes or slabs. The 18 hole course will provide material for X3 huts. 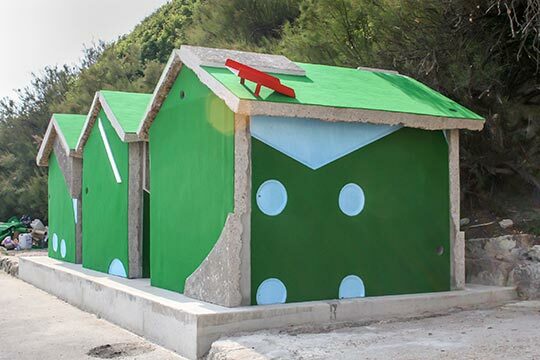 Being of slab form the huts will be brutal in appearance mimicking the old 2nd world war concrete defence bunkers but their exterior surfaces will still hold onto the colour and form of the golfing game.